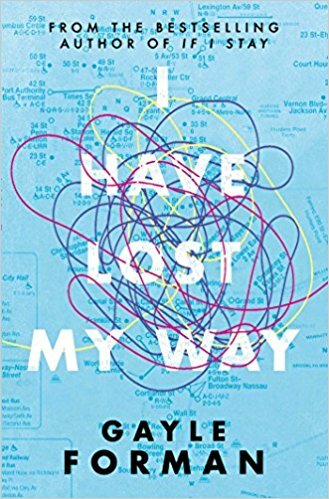 Essentially this book is best described as a modern day gay Sleepless in Seattle and it was an absolute joy to read from beginning to end. Throw in tons of references to Hamilton, Dear Evan Hanson and fantasy novels and I was in heaven. 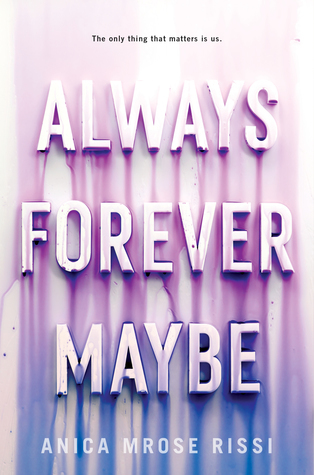 If you know me you know how partial I am to a love story set in New York and I was heavily invested in Arthur and Ben’s relationship from the beginning of their meet cute right to the end of the book. Arthur was like an adorable puppy dog and I honestly LOVE him, whereas Ben was a little more guarded and standoffish. I like both of them but at times I was annoyed at Ben for hurting my poor baby Arthur. I really enjoyed the fact that they had to work at their relationship but they were prepared to do so. In addition to Ben and Arthur, their friends were also wonderful to read. Dylan is my second favourite character (after Arthur), I loved his friendship with Ben, his slightly crazy approach to his own relationships and his general outlook on the world. I’m so sad I’ve finished reading this book, I really wasn’t ready to leave their little gang. I foresee a lot of rereads in my future. Sometimes in life you just need to let yourself read a fluffy, happy, sunshiney contemporary book and last year my favourite contemporary read was “When Dimple met Rishi”. 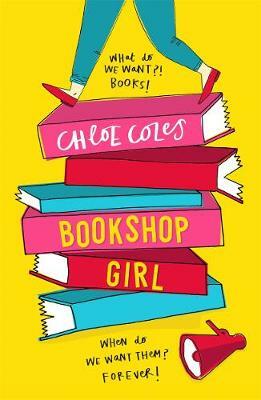 I loved it so much as soon as “From Twinkle, with Love” was announced I pre-ordered it straight away. I still couldn’t resist requesting it on Netgalley as well and I definitely did a happy dance when I got the notification that I was approved. “From Twinkle, with Love” follows Twinkle Mehra, an aspiring filmmaker with a huge amount of ambition and talent and a massive crush on swim-superstar Neil Roy, but when she is approached by Neil’s twin brother Sahil to direct a film for the upcoming Summer festival, Twinkle starts to fall for the other Roy brother. I loved how cute this book was. The characters all seemed genuinely high school age, they weren’t trying to be older than they are and the things they were concerned with were all refreshingly normal. Twinkle’s family dynamic was also a strong factor to the book, helping to explain the attitude problem she has at times. Whilst her relationship with her parents was complicated, the constant unwavering love from Dadi was beautiful and she stole the scene whenever she appeared. 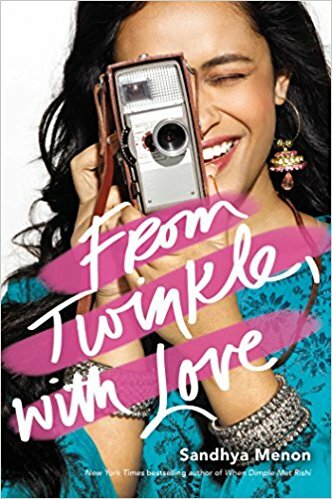 The romance between Twinkle and Sahil was heart meltingly adorable and I read most of the book desperate for Twinkle to come to her senses and drop her fixation with boring athlete Neil and fall head over heels for nerdy, film obssessed, devoted Sahil instead. The cultural identity of this book is so strong, as it was for “Dimple”, and whilst it’s not Sandhya Menon’s job to teach us about Indian culture, I enjoy being able to read a book in which the culture is so integral to the story because you do end up learning a lot. 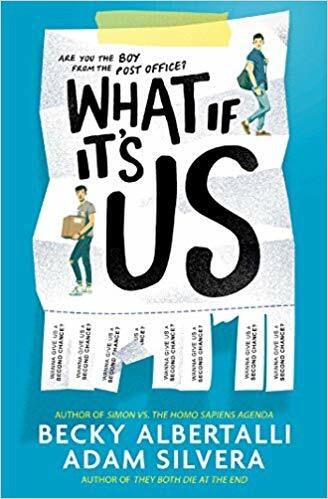 More importantly, it’s so vital and wonderful that many young people will see themselves represented in this book where previously they haven’t been. “From Twinkle, with Love” is a must read book for the summer if you love fun, flirty contemporary reads.